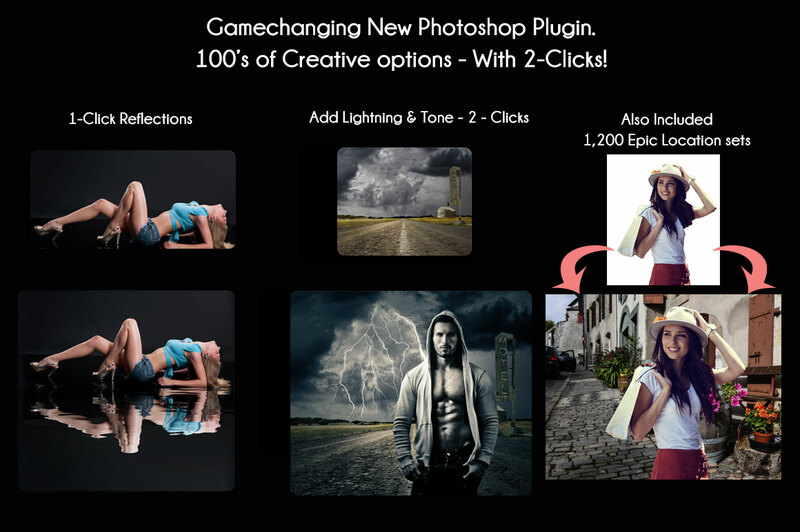 In this deal you receive the Gamechanging StudioMagic Photoshop plugin and the 1,200 Epic Location Sets. Create a reflection, add a rainbow, change seasons, add birds, add lightning and MUCH MORE with 2 mouse clicks! Its the worlds ONLY compositing plugin. StudioMagic received a 5 star independent review in Scott Kelby's Photoshop User Magazine.